I am here to share with you my latest creation for Craft Rocket Challenges. The challenge for this month is Spooky. Cute Halloween card! 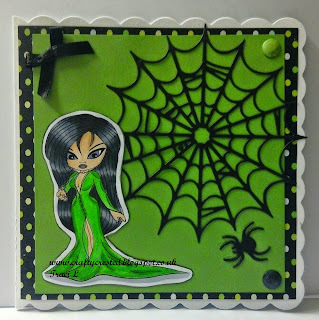 Love the spider web! Thanks for joining us at Chocolate, Coffee & Cards! Great Halloween card. Thanks for joining us this week at Sassy Studio designs. Good luck and please join us again soon! Loving the green with the back and white. Great Halloween card! Thanks so much for joining us this week at CRAFT Challenge! 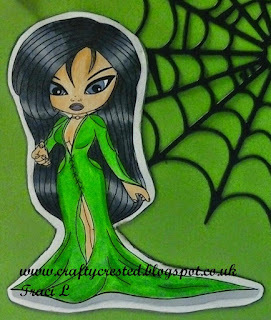 oh i love this one, love the bright green colours and the stamp is quite powerful, great eyes and your colouring is nicely done. love your papers and frame! 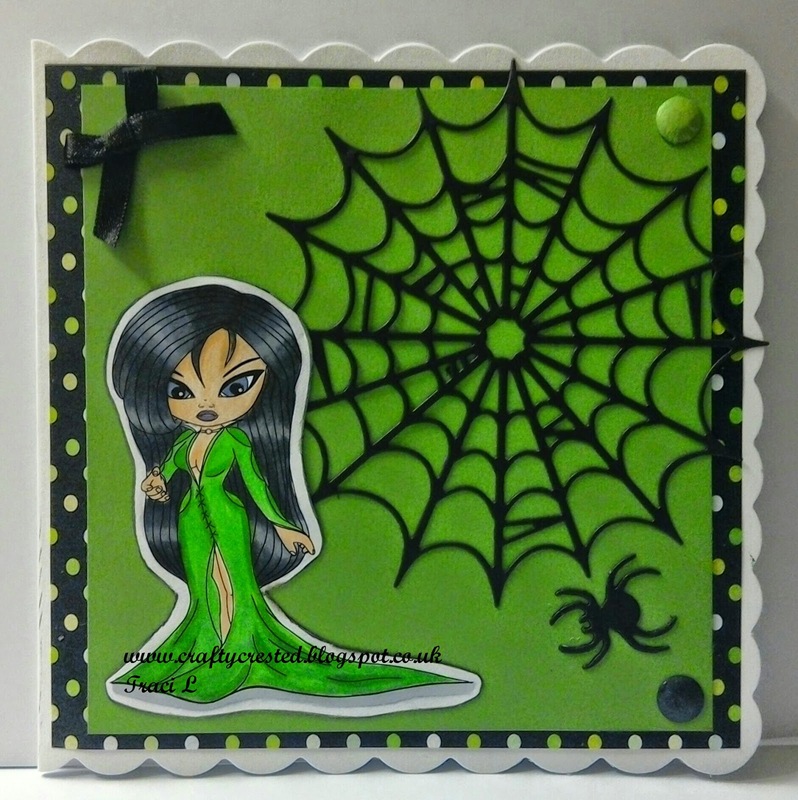 Lovely looking card, fabby colours and spider web! Thanks for joining us over at the Paper Shelter. Oh this is great and I love that you coloured her in green and black. A little different to all the other Hallowe'en combos out there. Thank you for joining in the Paper Shelter Challenge this time. Hope to see you again soon.